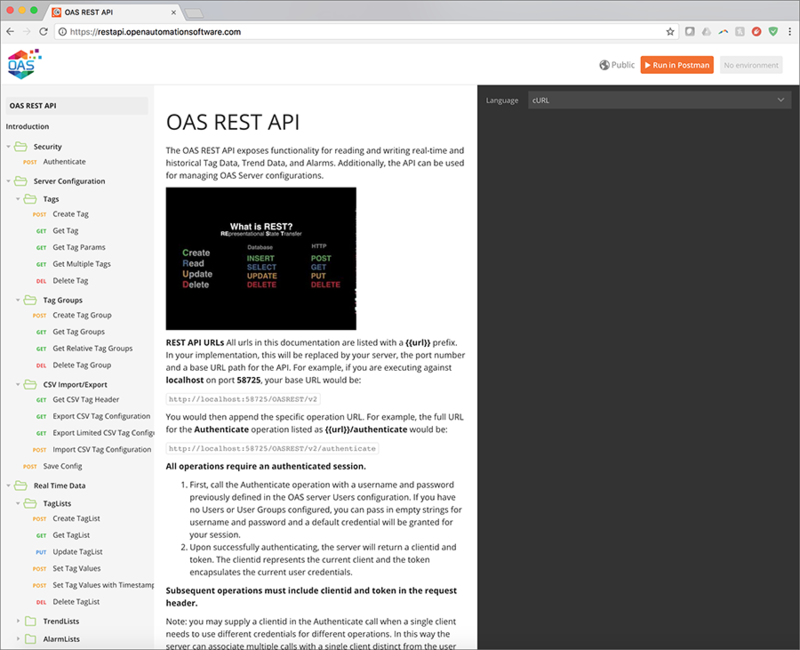 To read and write data between a native iOS app and OAS, you can use the OAS REST API. 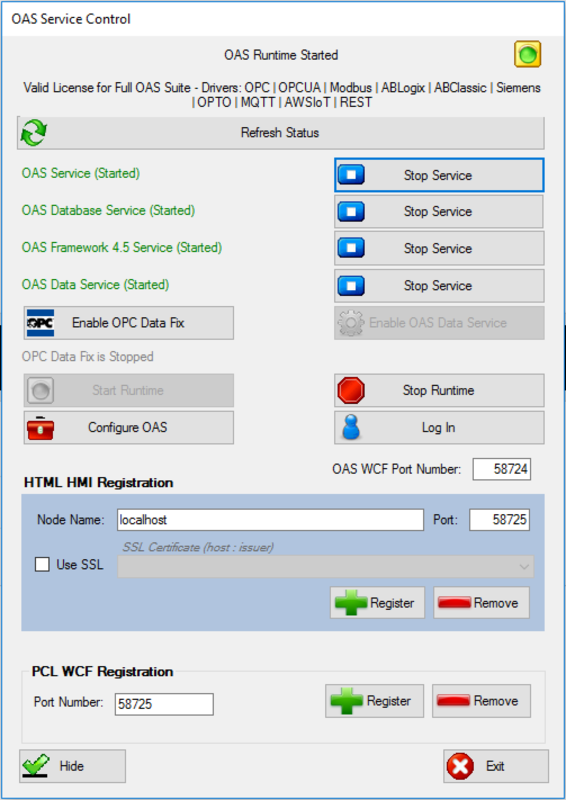 As a first step, register the HTTP listener with the OAS Service Control Manager under the section labeled “HTML HMI Registration”. Define the exclusive Node Name and Port Number that is to be supported. The Node Name should be the registered domain name, IP address, or network node name that all clients will connect to from their browsers. If you are unsure of which node name to use, localhost will work in most cases. NOTE: Before clicking “Register”, be sure to stop all services. If services are running, the Service Control app will prompt you to stop them. Start up all services, and be sure to include the Framework 4.5 Service as this houses the listener specific to the REST API. Test your API Service from your iOS device. If this code is executed without error, the response will include a clientid and token. These will be included in the header for all other operations. Here are some Python examples of basic HTTP requests you might wish to make via the REST API after having completed authentication. For additional information, see our REST API documentation. Reading a tag is accomplished with a GET request, using a simple query including the path to the Tag. Updating a tag is accomplished with a PUT request, using a payload including the path to the Tag, and the parameter(s) to be updated. Write tag data from Raspberry Pi to OAS. Now that you’ve established connectivity with the REST API, you can complete a Python script to write data from your device. Here is an example script which detects when a button is pushed, and forwards that data into OAS as a discrete tag value. An LED on the breadboard (see figure) indicates the current value, and the OAS server is polled at a frequency of 1 Hz to reflect the current state. For further help with the REST API, navigate to http://restapi.openautomationsoftware.com to open the REST API online documentation.